In case you are looking for a car rental service in Argentina that is adapted to your needs and for any reason you do not find it, we can offer you the information you need to make your trip perfect. Of course, you should keep in mind that you have to hire car rental services if you want to know much of the Argentine territory. However, it is also important to find a qualified car rental company that will provide you with the alternative of being able to travel anywhere in the country with maximum security guarantees. There are a lot of car rental companies in Argentina, but that have a good service and that above all is at a reasonable price is the most complicated part of the matter, especially if it is the first time you are traveling by plane and want to rent a car. Where to rent a car in Argentina? Europcar is one of the best rent a car companies in Argentina. You will not only have at your disposal an infinite number of offices all over the country; you can also hire their services from a travel agency and also has special prices for companies and tourists. Europcar is undoubtedly a good option as a car rental company. Avis rent a car Argentina is also another of the country's leading companies. There you can make your reservation from their own website so that once you leave the plane, you can drive your vehicle. Important note: It is recommended to make your reservation at least 6 hours in advance. In addition, if you are thinking of making routes that link Argentina and Chile or you prefer to start your route from Argentina to Brazil, you will have a discount of 10% on the price. And if that's not enough, if you're a ServiClub member, you'll have a 20% savings on the initial price. 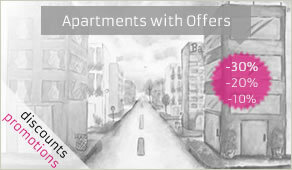 Now that there are these interesting promotions, do you think it's not worth it? Budget Argentina is another of the companies that we recommend you to rent your favorite cars while you are in Argentina. It has a search engine that will help you to find the best solution for your case and also you can finance your rent with up to 6 installments without interest. As you can compare, with Budget, you'll save money. Alamo rent a car is a prestigious company with worldwide coverage. It has a search engine so that you can hire the vehicle you like best and has the option that, in case you are a Chevallier passenger, have a 10% discount on the price. In addition, it has special prices for travel agencies and individuals. Alamo is an option that should always be considered. Hertz Argentina is undoubtedly the most recognized company in the country. They have an infinite number of services so that you can rent your car. For starters, if this is the first time you are going to use the car rental service, you will have 1 guide where you will know at all times the options you have to rent your ideal vehicle. In addition, you will enjoy a 20% discount on the stipulated price and you will be able to finance the vehicle rental up to 12 months without interest with the banks that work with them. Of course, they also have their own search engine that can help you find your vehicle. It's clearly a worthwhile venture. Can you rent luxury cars? In case you are looking for high-end cars, most of the companies we have just recommended can help you. 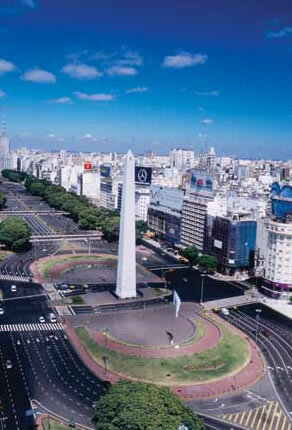 However, in case you want to visit the Federal Capital, there you will find the best luxury car rental companies in Buenos Aires, as it is where most of the tourism is concentrated. If you want to get to know a prestigious company that offers this alternative, we recommend the following ones. Where to make the rental car pick-up? Now you know the best companies to rent cars. You even know you have a chance to rent a luxury car. But where is the rental car taken back? This question makes a lot of sense if this is the first time you're going to travel to Argentina because, of course, you don't know where to go. However, getting out of the car is very easy. Most companies have their own establishment in the same airport, so as soon as you get off the plane, you can go to their office and from there take the car you have rented. However, there may be cases where the company you have hired does not have an office at the airport. In that case, you will have to take a taxi and go to the nearest office where you are. Don't worry, there are many offices around the country, although we do recommend that you make sure that the company you have hired is at the airport itself. Now that you know this information and know what cars rental company to travel around the country there is, it's time to start managing your trip early and you can enjoy a country that, the moment you meet it, you'll fall in love. Enjoy a country that promises incredible scenery, unique experiences and a culture where from the first moment, they will make you feel as if you were at home. Take your way in Argentina with your favorite rental car and make your trip different!